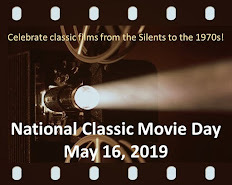 All this month, the Cafe will pay tribute to classic British televison of the late 1960s and 1970s. We could easily devote six months to this endeavor, because it was such a rich period for British TV. Some of the series we'll be highlighting were shown on U.S. commercial networks, many appeared on PBS, and a handful could be seen only on local stations in America. Some of our posts will focus on certain genres (e.g., those snappy spy series) and others will highlight specific series. That said, we'll start this month showering some Yankee love on ten classic British series that everyone should see! So, here's the first installment in our three-part series on must-see British shows. Poldark – Set in late 18th century Cornwall, Winston Graham’s sweeping historical drama centers on the Poldark and Warleggan families. The opening episode establishes a gripping premise. Captain Ross Poldark (Robin Ellis), supposedly killed during the American Revolution, returns to his home to find his father dead, his estate in ruins, massive debts, and his fiancée about to marry his cousin. 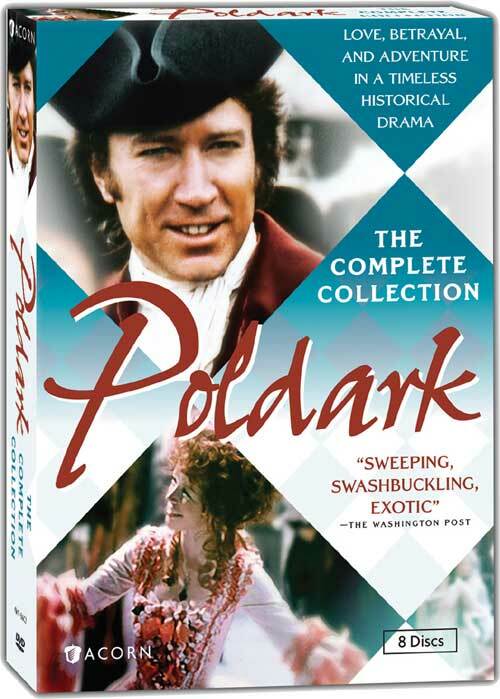 While Ross’s story dominates the early part of the series, Poldark evolves into an ensemble saga populated by rich characters portrayed by a first-rate cast (e.g., Ellis, Angharad Rees, Ralph Bates, Jill Townsend, etc.). Graham’s script also comments on the social injustices and political ploys of the period. The breath-taking Cornish cliffs and beaches are an added bonus. Poldark ran for 29 episodes over 1975-77 and covered the first seven Poldark novels (all that had been written to that date). Both seasons are available on DVD from Acorn Media. Different producers mounted a new Poldark in 1996, based on an eighth novel, but it featured a different cast and never found a following. Upstairs, Downstairs – As part of the 35th anniversary of PBS’s Masterpiece Theatre in 2006, viewers chose Upstairs, Downstairs as their favorite series (my choice, Poldark, was seventh). The series spanned 27 years in the lives of the Bellamy family and their servants at 165 Eaton Place in the Belgravia district of London. Starting in 1903, the series addressed political unrest in Europe, the suffragette movement, World War I, the stock market crash, and even the sinking of the Titanic (which plays a small, but very significant, part on the plotline). However, the majority of the drama focused on the relationships among and between the Bellamy family and their servants. The superb cast is anchored by: Gordon Jackson as Hudson (the Scottish butler and senior staff member); Jean Marsh as Rose (the parlor maid and later a lady’s maid); and David Langdon as Richard Bellamy (the head of the family); and Angela Baddeley as Mrs. Bridges (the cook). Upstairs, Downstairs won numerous awards in Great Britain and the U.S., where it earned Emmys for Outstanding Drama Series in 1974, 1975 and 1977. A 1979 spin-off, Thomas and Sarah, followed two characters that left Eaton Place—but the tone was very different and it fizzled quickly. In August 2010, Jean Marsh starred in an updated version of Upstairs, Downstairs, set in 1936. It was popular enough to earn additional seasons, but I think it lacks the sparkle of the original. Lord Peter Wimsey – Dorothy L. Sayers’ Wimsey mysteries have been adapted for television several times. In my opinion, the best version remains the 1972-75 series with Ian Carmichael as Lord Peter and Glyn Houston as his versatile valet Bunter. Sayers purists may quibble that Carmichael was too old for the part, but he still projects just the right amount of intelligence, likability, and upper-class manners. Set in the 1920s and 1930s, the multi-part mysteries range from superb (The Nine Tailors) to good (Five Red Herrings). The series excels at capturing Great Britain at a transitional period between the two World Wars, from the flapper lifestyle and gentleman clubs in London to the country gentry and rural impoverished villagers. Carmichael and Houston (who played Bunter in four of the five) make a fine pair of inquisitive amateur sleuths, their relationship a combination of mutual respect, professional pride, and friendship. Superb list, Rick! Of these three, I've only seen LORD PETER WIMSEY, and I agree wholeheartedly that the show captured that period of time in Britain. For anyone who has Netflix, the first series (season) of both POLDARK and UPSTAIRS, DOWNSTAIRS are available on Instant Watch. Looking forward to the other seven British TV shows to watch! 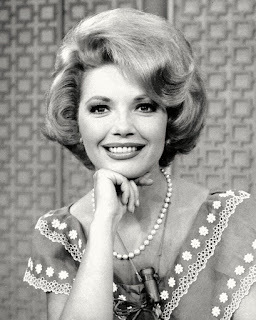 I recall being tuned into Martha Stewart and while baking she said she felt like Mrs. Bridges and when there was no response from the studio audience Martha looked incredulously at the crowd and said "Doesn't anybody remember Mrs. Bridges?" I responded affirmatively to the screen. One of my sisters is a Wimsey fanatic and it's very catching. 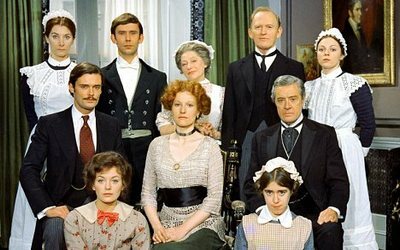 My fondness for British TV started with staying up late on Sunday nights to catch "The Forsyte Saga" on CBC. Epic! I love this post, Rick! "Poldark" is not only one of my favorite British series but it brings back wonderful memories. My husband and I loved to travel with our parents. On a trip to the Outer Banks we started each day with a "Poldark" episode and my mother and father loved this so much that Mom would implore me to divulge what would happen next (I would not) and Dad would suggest, when there was a break in the day's itinerary, that we see another episode. They loved it as much as we did! I had to wait many years before I was able to purchase "Upstairs, Downstairs" and not break the bank. My husband and I fell in love with this remarkable show and especially the downstairs cast. Hudson, Rose, and Mrs. Bridges were fascinating to us. I laughed out loud when I read Caftan Woman's observation. I have responded to the screen many times myself! And I love Lord Peter Wimsey and Bunter! "The Nine Tailors" is one of the most fascinating mysteries and is probably my favorite of this series. I noticed that all three series you posted showcase those in service as well as those who have wealth (although Ross Poldark's finances are in disarray during his absence to serve in the war). We are less likely to have this scenario in the States so perhaps that makes it more intriguing to us. These three are a bit early for me. I am not familiar with Wimsey and Poldark, but I have watched a number of episodes of Upstairs, Downstairs. Mrs. Bridges was my favorite character. When I was in Britain I became hooked on Eastenders--will you discuss this long-running British soap this month? Wonderful! I've always been really interested in British TV, movies, and literature, so this should be a lot of fun to check out :) Looking forward to parts 2 & 3! Rick, a great idea for a series. As an anglophile cinephile, I can't wait for the next installments, especially if you do one on the classic British sitcoms. I didn't have TV when some of these ran, so I never saw "Poldark" (I have a good friend who shares your enthusiasm for it), and only some of the Lord Peter Wimsey. (I liked "The Nine Tailors" and "Murder Must Advertise" the best of those I've seen. They were also my favorites of the novels. You're right that Ian Carmichael doesn't look anything like the way the character is described in the books, but he caught the spirit of the character and added a most appealing whimsicality of his own.) I did manage to see all of "Upstairs, Downstairs" in reruns and loved it. I have to mention how much I enjoyed Pauline Collins as the sassy maid Sarah. It's good to see classic TV getting some well-deserved attention. I dearly love POLDARK. Seeing the show as a teen encouraged me to read my way through the entire series so I enjoyed it on two levels. Fun post! Upstairs, Downstairs was terrific. I loved Jean Marsh and Leslie Anne-Down was gorgeous. Excellent summations, Rick. My favorite of those is Upstairs, Downstairs, which I would love to see again. I wonder if anybody is doing "Lillie" about Lillie Langtry, or "I, Claudius", both of which I painstakingly taped off TV and still watch periodically ... to me, those were the 2 best.